If you've been using Instagram for a while and you've accumulated a good number of followers, you might be curious about who has unfollowed you recently. You might want to know for any number of reasons, both personal and professional, and there are tools to check for unfollowers automatically. Just as you do not automatically get notifications on Facebook or Twitter when someone "unfriends" or "unfollows" you on these social media platforms, you also do not get notified when someone chooses to unfollow you on Instagram. While it may be convenient if Instagram offered a way to check this within the main mobile app itself, this feature is currently not supported. The only way you can check if you've been unfollowed on Instagram is to perform a manual cross-check. This can be a very tedious and time-consuming process, especially if you have more than just a few followers. Log into your Instagram account either through the app on your mobile device or through the website on your computer. Navigate to your profile page. In the mobile app, you do this by tapping on your profile picture in the lower-right corner. On the website, you do this by clicking on the "person" icon in the top-right corner. Tap or click on the number of followers that you have. In a separate dated document or spreadsheet, note all the Instagram users who are currently following your account. Repeat this process periodically and cross-reference old lists with new lists to find changes. You can also create a similar document or spreadsheet with a list of all the accounts you are following, cross-referencing that list with your list of followers to see who doesn't follow you back. 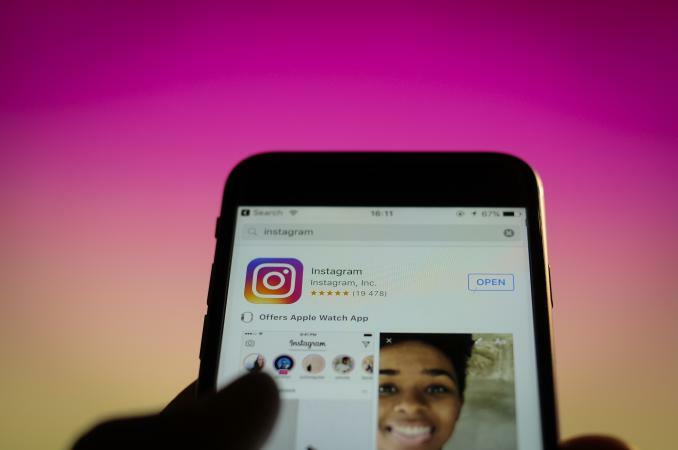 If you access your Instagram account through a Google Android device like a Samsung Galaxy smartphone or tablet, there are several mobile apps available that let you check for unfollowers automatically. Many of these have similar or even identical names, like Unfollowers & Ghost Followers by Follower Analyzer. Download and install the Unfollowers & Ghost Followers app on your device. Open the app and sign in using your Instagram username and password. Select "Unfollowers" from the available options to see a list of users who do not follow you back on Instagram. This list includes a search option. Select "Recent Unfollowers" to see a list of accounts that have unfollowed you within the last five days. In both cases, you can then tap on the associated "unfollow" button to unfollow that account if you want. The app also includes additional features, like the ability to see people who follow you but you don't follow back (ghost followers), as well as users you follow and who also follow you (mutual followers). If you add users to the whitelist, they will no longer appear in your list of unfollowers. Another Google Android app you might use to check Instagram unfollowers is Unfollowers & Ghost Followers by Follow Cop. It functions in fundamentally the same way. If you use your Instagram account on an iOS device like an iPhone or iPad, then a similar type of mobile app is called Followers for Instagram! by Component Studios. It is available through the iTunes App Store for free with optional in-app purchases to unlock additional features like viewing deleted comments and likes. Just like with Unfollowers & Ghost Followers for Android, Followers for Instagram! lets you check on who unfollowed you on Instagram. Download and install the app to your iOS device. Log in using your Instagram account credentials. Navigate to the "Have Unfollowed You" section of the app to see users who have unfollowed you on Instagram recently. Alternatively, navigate to the "Are Not Following You Back" section to see users who you follow, but do not follow you back. Scroll through the resulting list and tap to unfollow accounts that do not follow you. The app is designed to provide "powerful analytics" including additional insights, like viewing users near your location, users who comment or like the most, and Instagram users with the oldest accounts. Other apps for iOS that you can use to check who recently unfollowed you on Instagram or who doesn't follow back include Followers by NoApostroph3s LLC and UnFollowers for Instagram by Sepia Software LLC. Like the other apps mentioned, these too work in a similar fashion. Whether you use Instagram to connect with friends and family around the world or you leverage the visual social media platform to promote your business, you may want to find out who is and is not following you. At the end of the day, it is about providing an authentic interaction through pictures and engaging with other human beings.